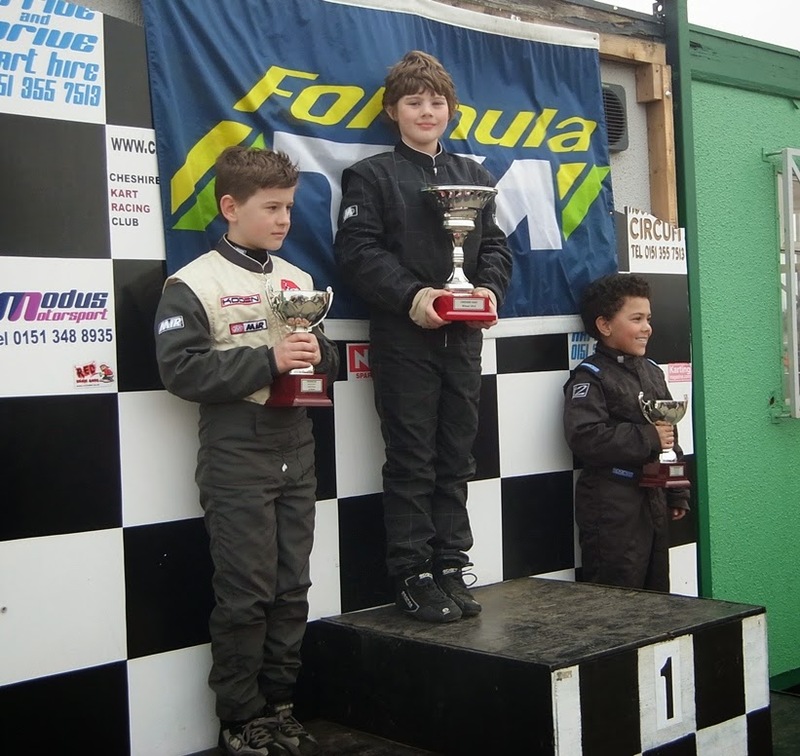 Round of Cheshire Kart Racing Club Championship and the Cheshire Oaks Trophy and Samuel started with maximum points from round 1 the previous month. Through all three heats he dominated the field with a 7 second lead in the first and a 14 second lead in the second heat. Even after starting 4th in the third heat, Samuel had moved up to second by the end of the first lap but after a tustle in lap two, of which he came of worst, he dropped to 4th place but by the 5th lap he'd regained his lead. He crossed the finish line with an impressive 17 second lead but he actually set his fastest lap time of the day in the second heat with a 43.13 which meant he had taken the fastest lap of the day and set another season lap record for the track. Here he is on the podium along with the top Honda Novice and the Comer winner.